As we scan the pages of church history, we see that the Holy Spirit has always been present in the church through revival. In fact, the Spirit has been in continuous operation since the time of the Old and New Testaments. Many great Christian leaders experienced revival in their lives and ministries. Although some people believe that the work of the Holy Spirit ceased with the time of the apostles, church history tells a different story. In this article, we will take a look at some of the great Christian leaders and revival movements to see how the Holy Spirit has moved in the church through revival. 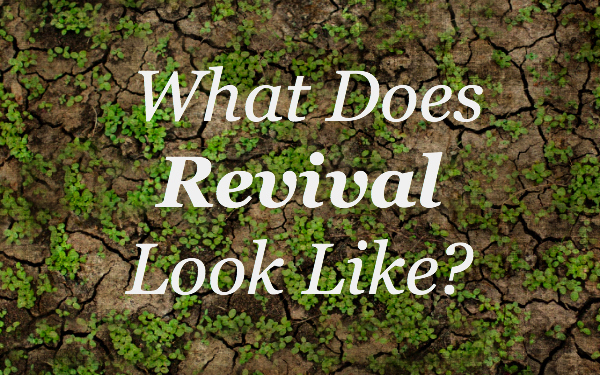 There are many definitions of revival. Some people think it takes place when an evangelist preaches a protracted set of meetings in a church that last several days or even weeks. Others may think revival is style of worship or preaching. Yet, revival is not something we do, but what God does in and through us. Revival is not something we do, but what God does in and through us. One of the great revival movements happened in Ireland under the influence of St. Patrick. His life is surrounded by mystery, superstition, and myth, but is perhaps best known as the man who used the shamrock to explain the Trinity. He was personally responsible for baptizing over 100,000 people, driving paganism from the shores of Ireland, and starting a revival movement that helped preserve Christianity during the Middle Ages. Many of the myths that surround Patrick come from his spiritual clashes with the pagans who opposed him. According to legend, King Loiguire set an ambush to kill Patrick, but when Patrick came near, all the king could see was a deer. Patrick challenged the power of the druid’s black magic because he believed that God’s power was greater. He believed that signs and wonders verified God’s supreme superiority over the spells of the pagans. He was a bold preacher who was not afraid of magic, demons, or the devil. The story that he drove the snakes out of Ireland is symbolic of the fact that he helped transform pagan Ireland into a Christian country. We should seek the power of the Spirit to plant churches wisely like St. Patrick. Patrick established many churches throughout Ireland. Like the Apostle Paul, he discipled new converts to become pastors to the local churches. Patrick was instrumental in the conversion of thousands, ordaining hundreds of clergy, and establishing many churches and monasteries. Revival also sparked during the Reformation, a Spirit-inspired movement that swept across Europe in the 16th century. The Reformation began as an attempt to reform the abuses and excesses of the Catholic Church, of which Martin Luther was a forerunner. Many of the Reformers were troubled by what they saw as false doctrines and abuses within the Catholic Church, particularly involving the teaching and sale of indulgences. Another major contention was the corruption within the Church’s hierarchy and leadership. On October 31, 1517, Luther nailed his 95 theses to the door of the All Saints’ Church in Wittenberg. The Church and the Pope criticized the 95 theses. The most controversial points centered on the practice of selling indulgences and the Catholic Church’s policy on purgatory. Other Reformers, such as Ulrich Zwingli, soon followed. Beliefs and practices under attack included: purgatory, devotion to Mary, the intercession of and devotion to the saints, most of the sacraments, the mandatory celibacy requirement of its clergy, and the authority of the Pope. Martin Luther, John Calvin, and others proclaimed the doctrine of “justification by grace through faith alone.” Justification is God’s declaration of a person righteousness because of their faith in Christ. The Reformers also emphasized the inspiration and illumination of Scriptures. Their commitment to the lordship of Jesus Christ and the authority of Scripture was the foundation of the Reformation movement. In addition to their theological prowess, the Reformers sparked the planting of thousands of new churches across Europe. John Calvin trained and sent numerous missionaries into France who were responsible for planting over 2,150 Reformed churches! Let us then, value highly all the comforting works of the Holy Spirit, seeing they are evidences to us of his love and power. The English Puritans were a 16th- and 17th-century movement that sought to purify the church in worship and doctrine. They were the outgrowth of the Reformation and heavily influenced the later development of Christianity in North America. The Puritans were Calvinistic and emphasized the necessity of spiritual conversation. The Puritans placed a special emphasis on the transforming work of the Holy Spirit in salvation that strongly influenced modern Evangelicalism. Puritan theologians wrote extensive works on the person and work of the Holy Spirit. Perhaps the best of all was Puritan pastor and theologian John Owen (1616–1683) who wrote a work called The Holy Spirit: His Gifts and His Power. Owen said: “The Holy Spirit, revealing himself as the Comforter, ought to be especially honored, and when he is not, he is especially sinned against . . . Let us then, value highly all the comforting works of the Holy Spirit, seeing they are evidences to us of his love and power” [iv]. The Spirit of God began extraordinarily to set in, and wonderfully to work amongst us. During his lifetime, John Wesley traveled more than 250,000 miles and preached over 40,560 sermons. In the mid 1700s, George Whitefield began a successful ministry tour in America. Whitefield’s common method was field preaching in the open air to the common people. Whitefield blazed throughout North America and the British Isles, preaching to countless crowds of people. Whitefield recorded several accounts of people who were powerfully touched by the Spirit during these revivals. In 1738, John Wesley experienced a “heart-warming” conversion. This event marked the beginning of Wesley’s evangelistic ministry. John Wesley witnessed an extraordinary outpouring of the Holy Spirit throughout his ministry. During his lifetime, he traveled more than 250,000 miles, preached over 40,560 sermons, organized hundreds of Bible societies, built several schools, and so impacted Methodism that at the time of his death nearly 43,265 members and 198 ministers had been attracted to the movement. [v] He believed that God was restoring the work of the Spirit in the church through the Great Awakening. The Spirit is anointing a generation of pastors, church planters, and missionaries. Yet, there is a fresh renewal of the Holy Spirit that is sweeping across the church. The Spirit’s renewing power is taking place in churches, denominations, and networks across the country and around the world. The Spirit is anointing a generation of pastors, church planters, and missionaries who are taking the gospel to the radically unchurched. As disciples of Jesus, we should seek the power of the Spirit to preach the gospel boldly like the Reformers, plant churches wisely like St. Patrick, and pray earnestly like those of the Great Awakening. This renewal of the Spirit is both theological and experiential. If we are to experience personal and corporate revival, a robust theology of the Holy Spirit will be necessary. We must turn to him to give us a fresh hunger for God’s presence and power in our life. [i] Stephen Olford, Heart Cry for Revival. Westwood, NJ: Revell, 1962. 17. [ii] Malcolm McDow and Alvin Reid, Firefall: How God has Shaped History Through Revivals. Nashville: Broadman & Holman, 1997. 9. [iii] See Thomas Cahill, How the Irish Saved Civilization. [iv] John Owen, Communion with God, 206. [v] Malcolm McDow and Alvin Reid, Firefall. 194. [vi] Alvin Reid, Radically Unchurched: Who They Are & How to Reach Them, Grand Rapids, MI: Kregel Publications, 2002. 21. [vii] George Hunter, “The Rationale for a Culturally Relevant Worship Service,” Journal of the American Society of Church Growth, Worship and Growth. 7 (1996): 131). [viii] Reid, Radically Unchurched. 22. This post is written by Winfield Bevins. It appeared on Gospel-Centered Discipleship.